About Us | Flury and Co. In business at its present location in Seattle, Washington since 1981, Flury & Company Ltd. has established itself as one of the leading galleries in the world dealing in the purchase and sale of Edward S. Curtis photographic works. Lois Flury has many years of experience dealing in Edward Curtis' work and is considered an expert in the field. Ms. Flury was first introduced to Curtis' photographs during the revival of interest in his work that took place in the 1970s. In the Fall of 1972, while working as a contemporary art dealer in Austin, Texas, she was given the opportunity to purchase a group of Curtis' photogravures that had come from the Charles Lauriat Company collection in Boston, Massachusetts. She was immediately captivated by his images and began to research and collect his work with the assistance of her partner, James Flury. In the course of her research, Ms. Flury had the opportunity to meet some of the surviving members of Curtis' family, including three of his children, Harold, Florence and Billy. What she learned from the personal stories his children shared with her greatly broadened her knowledge of and respect for Curtis and his work. Ms. Flury has also been in contact with one of the daughters of Curtis' younger brother, Asahel. Ms. Flury purchased from her the collection of Edward Curtis' work that had been in Asahel's possession. In the mid 1970s Ms. Flury was fortunate enough to locate the individual who had purchased Edward Curtis' personal collection from his eldest daughter, Beth. She and James Flury gained exclusive rights to buy from this invaluable cache of material. It included photographs, photogravures, goldtones, manuscript materials, field notes, and other miscellaneous ephemera. In 1977 Lois and James Flury moved to the Northwest and continued to buy and sell Curtis' work as private dealers. In 1981 Ms. Flury opened the gallery in Seattle, just a few blocks from where Curtis' first photographic studio once stood. 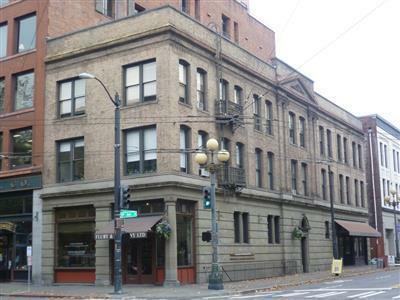 Situated in the colorful Pioneer Square district, Flury & Company occupies the ground floor of the historic Jackson Building. 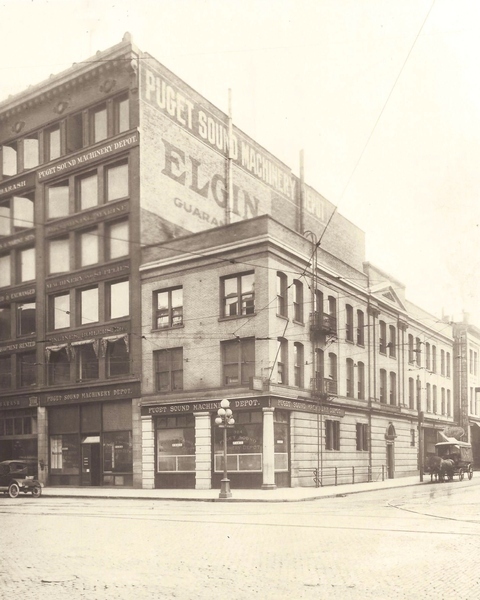 The building was constructed in 1901-02 for the Capital Brewing and Malting Company by the Seattle architectural firm of Breitung & Buchinger. An important feature of the original building was the saloon, where Flury & Company's main gallery is now located. Although the bar was removed long ago, the intricate stucco decoration on the walls and ceiling and the impressive tile floor still remain today. In November 2001 Melissa Flury and Rob Godwin joined the gallery and now are the second generation Edward Curtis and Native art enthusiasts at Flury & Company. We invite you to visit our gallery when you are in the Seattle area, or page through our website for more information. Over the years Flury & Company has placed Edward Curtis photographic artworks and antique Native-American art objects in many private collections and important institutions in the United States and abroad. These include the Seattle Art Museum, the Burke Museum, the University of Washington, the Navajo Tribal Museum, the Los Angeles Museum of Natural History, the San Francisco Museum of Modern Art, the Denver Museum of Natural History, the Oklahoma Arts Center, the Hopi Tribal Council, and the Montana Historical Society and Museum in Helena, among others. Today Flury & Company boasts one of the largest collections of Edward Curtis' work in the world. Interest in Curtis' photography continues to grow and the market for his work is ever expanding and flourishing. With prices for his photographic works ranging from $300 to over $100,000, there is something for the first-time buyer and the seasoned collector. We invite you to visit our gallery when you are in the Seattle area, or page through our website for more information. Edward Sheriff Curtis was born in Wisconsin in 1868 to parents Ellen and Johnson Curtis. His sister, Eva, was born in 1870 and his brother, Asahel, in 1874. Edward also had an older brother, Ray, born in 1861. After Asahel's birth the family moved to Cordova, a rural settlement in Le Sueur County, Minnesota, where Johnson Curtis worked as a preacher for United Brethren Church. As a boy Edward often accompanied his father on canoe trips to visit members of the congregation. His experience camping outdoors with his father helped prepare him for the extensive field work he would do later in his career. As an adolescent Edward constructed his own camera with the help of the then popular manual Wilson's photographics. It is also possible that he worked for a photographer in St. Paul for a period of time before his family moved west. Because his father's health was not good and his older brother Ray had married and moved to Portland, Oregon, Curtis took on much of the responsibility of supporting the family. He worked for a time as a supervisor on the Minneapolis, St. Paul and Sault St. Marie Railroad. In the Fall of 1887 Edward and his father traveled to Washington Territory and by Winter had settled in the Puget Sound. They were joined by Ellen Curtis and the other two children the following Spring. Shortly after their arrival Johnson Curtis contracted pneumonia and died. Edward then assumed primary responsibility for supporting the family. Although his income was meager, he was able to buy a camera. In 1892 he married Clara Phillips and opened a portrait studio in Seattle in partnership with Thomas Guptill. 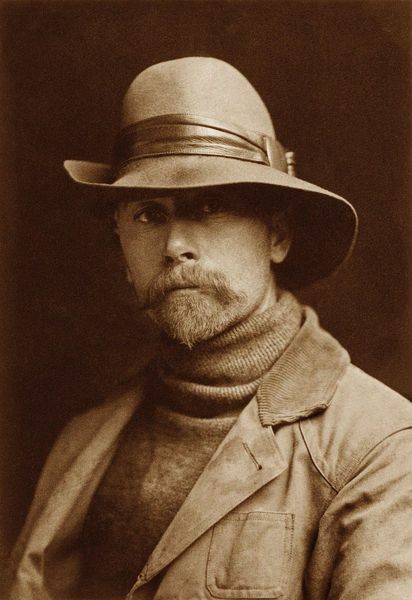 While their business was very successful, they parted ways in 1897 and Curtis renamed the business Edward S. Curtis, Photographer and Photoengraver. In the mid 1890s Curtis had begun to photograph local Native Americans digging for clams and mussels on the tide flats. One of his earliest models was Princess Angeline, the aged daughter of Chief Sealth, the Suquamish Indian after whom Seattle is named. At the National Photographic Convention of 1899 Curtis was awarded the grand prize for three of his soft-focused, sepia-toned images of Puget Sound Native Americans: Evening on the Sound, The Clam Digger, and The Mussel Gatherer. Curtis was an avid outdoorsman and spent much time climbing and taking photographs on the slopes of Mount Rainier. During one of his excursions he happened upon and assisted a group of climbers who had lost their way. They were members of a government commission and included Dr. C. Hart Merriam, naturalist and physician, and Dr. George Bird Grinnell, editor of Field & Stream magazine and a well-known naturalist and writer on Plains Indians. This chance encounter proved to be quite beneficial for Curtis and played a vital role in his selection as official photographer on the Harriman Expedition to Alaska in 1899. This two month expedition organized by the railroad tycoon Edward Harriman incorporated the talents of eminent American scientists and naturalists from many fields. Curtis made several valuable connections on this trip that would prove helpful during his work on the North American Indian project. Curtis spent the summer of 1900 with George Bird Grinnell observing the Sun Dance at an encampment of Blood, Blackfeet and Algonquin in Montana. This was an exciting and pivotal experience for Curtis, increasing his interest in Native-American cultures and confirming his desire to continue the study and photographic documentation of the Native tribes of North America. A trip to visit the Hopi reservation in Arizona a few months later further fueled his enthusiasm and drive. Meanwhile, Curtis was beginning to gain national recognition through articles and publication of his photographs. In 1904, encouraged by the popularity of his Indian images, Curtis began in earnest to photograph other tribes throughout the West. He hired Adolph Muhr to manage his darkroom in Seattle and began to spend more and more time in the field. By now Curtis had envisioned a plan to document all of the tribes west of the Mississippi that still maintained to a certain degree their native lifeways and customs. Curtis agreed with the common scholarly opinion that very soon all Native American cultures would be absorbed into white society and entirely disappear. He wanted to create a scholarly and artistic work that would catalog the ceremonies, beliefs, daily life and landscapes of this "vanishing race." In that same year Curtis traveled to the East Coast to discuss his ideas with Frederick Webb Hodge and William Henry Holmes of the Smithsonian's Bureau of American Ethnology. Mr. Hodge would become a lifelong friend to Curtis as well as editor of the entire North American Indian project. During this time Curtis made another very fortunate connection. A few years earlier he had won a top prize for a portrait of a girl he had submitted to a Ladies Home Journal contest. As a result, Curtis was asked to photograph President Theodore Roosevelt and his family. The invitation gave him the opportunity to show Roosevelt some of his Indian photographs and the President was greatly impressed. Curtis developed a friendship with Roosevelt, who encouraged him in his work throughout his career. 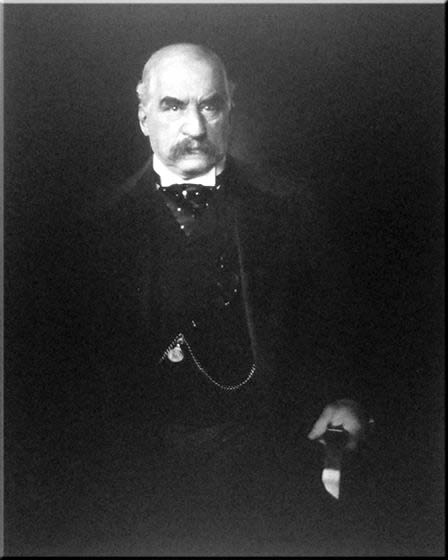 In 1906 Curtis approached railroad tycoon J.P. Morgan to request financial assistance for his project. Morgan agreed to pay him a total of $75,000, or $15,000 a year for five years. Curtis' masterwork, The North American Indian, he and Morgan decided, would be a set of 20 volumes of ethnographic text illustrated with high quality photoengravings taken from his glass plate negatives. Each of these volumes would be accompanied by a portfolio of large size images, all sumptuously bound in Moroccan leather. The papers used for printing would also be of the best quality: a Dutch etching stock by Van Gelder, a Japanese vellum, and for the most discerning subscribers, a translucent Japanese tissue paper. To fund publication, Curtis would sell subscriptions at approximately $3,000 per set, with a total of 500 sets to be published. President Roosevelt agreed to write the forward for the project. In return for his investment, Morgan would receive 25 sets of The North American Indian and 500 original photographs. Curtis received his first check of $15,000 from Morgan on March 30, 1906. From then on, Curtis was constantly working and photographing in the field, giving lectures and slide shows throughout the United States, and all the while struggling to market The North American Indian. It was soon evident that the completion date for the project would far extend the original estimate of five years. Meanwhile, the Seattle studio was doing quite well under Adolph Muhr's direction. It attracted a number of talented assistants, including Imogen Cunningham, who spent over two years working in the darkroom under Muhr's tutelage. When Muhr died in 1913, management of the studio went to Ella McBride, a photographer and mountain climber from Portland. While the studio had an excellent reputation and a loyal clientele, the cost of printing Curtis' Indian images consumed much of the studio's profits. After wages were paid, very little was left for Curtis' family. Curtis' wife Clara, along with their first three children, Harold, Beth and Florence, initially accompanied Curtis on many of his trips. This grew tiring however, and Curtis' prolonged absences from Seattle put a strain on the marriage. In 1916 Clara Curtis filed for divorce. Upon settlement of the divorce in 1919, Clara was awarded everything, including the Seattle studio and all of Curtis' negatives. At this time many of the studio's glass plate negatives were destroyed. Curtis' oldest daughter, Beth, moved with Curtis to Los Angeles where they opened a studio together. His fourth child, Katherine, or "Billy," born in 1909, lived with her mother in Seattle, having very little contact with her father. By the time Curtis relocated to Los Angeles he was no longer receiving funds from J.P. Morgan, who had died in 1913. He worked alongside Beth in the studio and, when he could afford it, continued his field work for The North American Indian. In this he was accompanied by his invaluable assistant William Myers, who had been with him from the start. 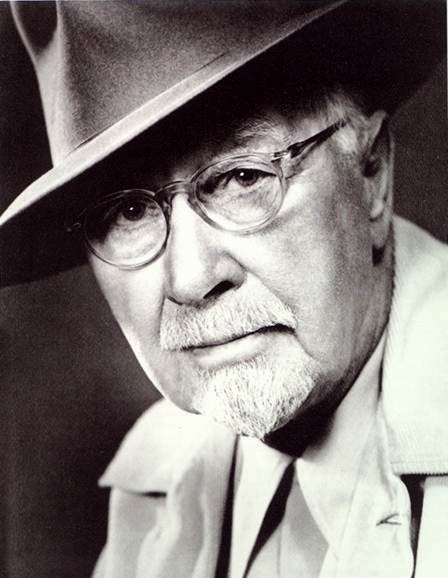 During this period Curtis also did some work in Hollywood, taking still photographs of Elmo Lincoln as Tarzan and working on such films as The Ten Commandments, Adam's Rib, King of Kings, and The Plainsman. 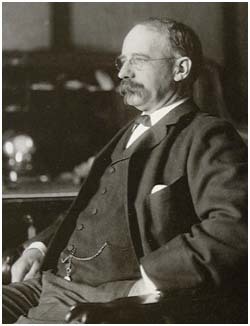 By 1922 when Curtis published Volume 12 of The North American Indian after a six year lapse, Jack Morgan, the son of J.P. Morgan, had agreed to supply funds for all remaining printing costs. Struggling to come up with all additional monies, Curtis continued to work with Myers and Frederick Hodges, his editor, on the project. Myers left Curtis in 1926 and was replaced by Stewart Eastwood. In 1927 Curtis' daughter Beth provided the financing for Curtis' trip to Alaska to collect material for the last volume. In 1930 volumes 19 and 20 were published and the North American Indian project was finally complete. By this time the popularity of Curtis' work had diminished. In 1935 The North American Indian Corporation liquidated its assets and the materials remaining from the project were sold to the Charles Lauriat Company, a rare book dealer in Boston. Lauriat acquired 19 unsold sets of The North American Indian, thousands of individual prints, sheets of unbound paper, and the handmade copper photogravure plates. Curtis' original glass plate negatives were left in the Morgan Library basement and were eventually destroyed or sold for next to nothing. In the years that followed the completion of the North American Indian project Curtis involved himself in mining ventures and continued to do occasional work in Hollywood. Around 1947 he settled on a farm in Whittier, California that belonged to Beth and her husband Manford Magnuson. At this time Curtis was very close to all of his children, including Katherine, who had moved to California when her mother died in 1932. Curtis died of a heart attack on October 19, 1952 at Beth's home in Los Angeles. Proof that Curtis and his lifework had all but faded into obscurity was the brief obituary that appeared in the New York Times calling him an expert in Native American history and mentioning that he was also known as a photographer.